I waited 30 minutes for my wanton mee and no regrets! 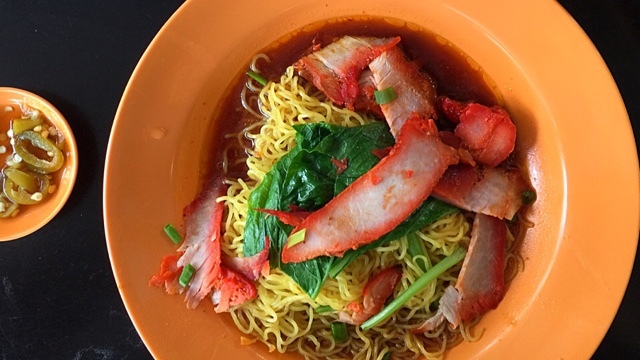 When it was served, the mee was soaked in the gravy with generous serving of Char Siew. It looked very appetising. There was only a short queue at the stall and that is because the lady would take down our orders and have us seated. We arrived around 10.45am. Dumplings soup and fried Yong Dou Foo were sold out! 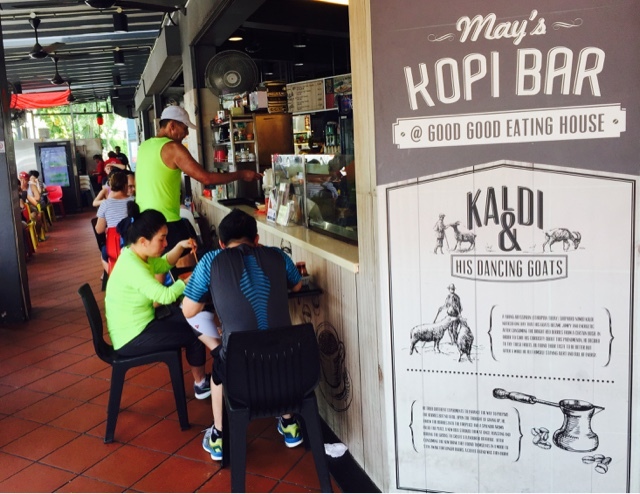 Although we had to wait for 30 minutes, at least we were comfortably seated sipping our Kopi and Teh. I heard that this place only opens for breakfast and by lunch time, it would be sold out. We also did not need to indicate if we wanted spicy or not. 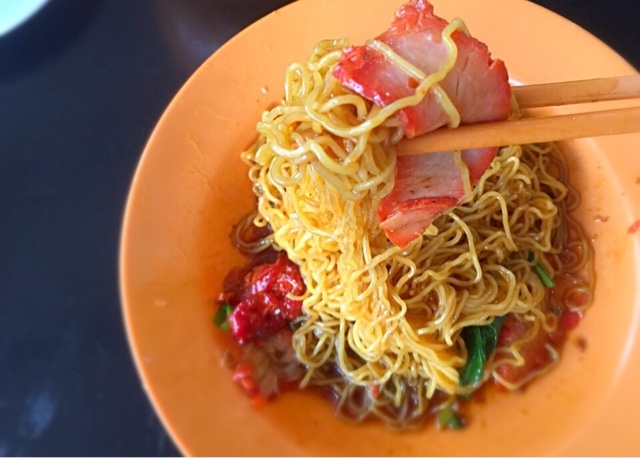 Just order wanton mee and you will get what they prepare for you. 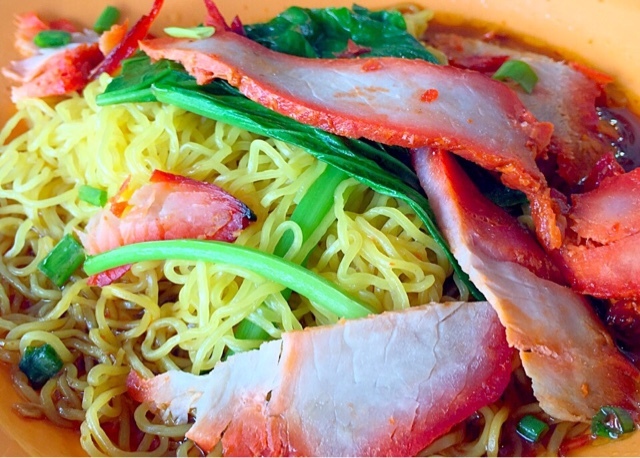 The success of this dish lies in the mee and gravy. When I mixed the noodles throughly with the sauce, the aroma wafted in the air and I could not wait to eat the glistening noodles. The sauce was excellent. The springy noodles was so well balanced with the right hint of spice, saltiness and sweetness. I usually avoid extremely lean Char Siew for fear that they would be too dry but this lean Char Siew was still delicious and tender. 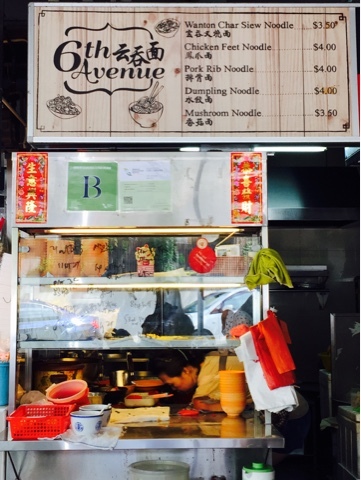 This stall serves Singaporean style wantons. 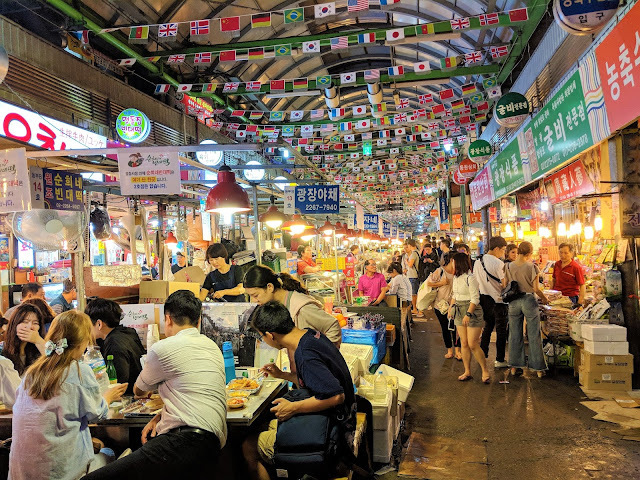 If you are hoping for the Hongkong style wantons which are plump and juicy, you will be sorely disappointed. Singaporean style - the dough is more than the meat. 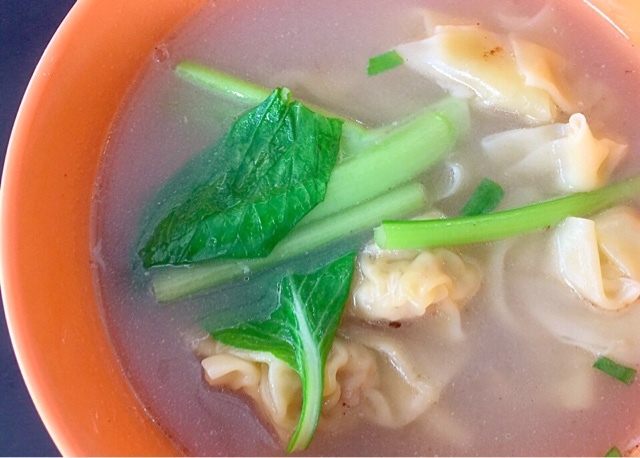 We ordered Wanton Soup and there were around 11 wantons for just S$3. 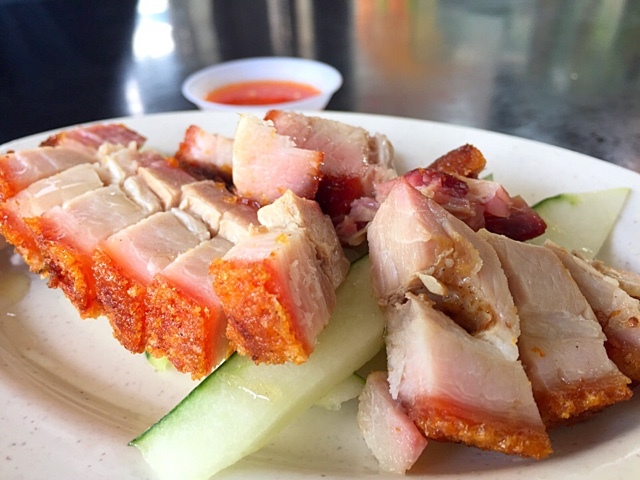 The wanton skin was extremely soft, complimenting the salty pork. Don't be taken in by this picture. 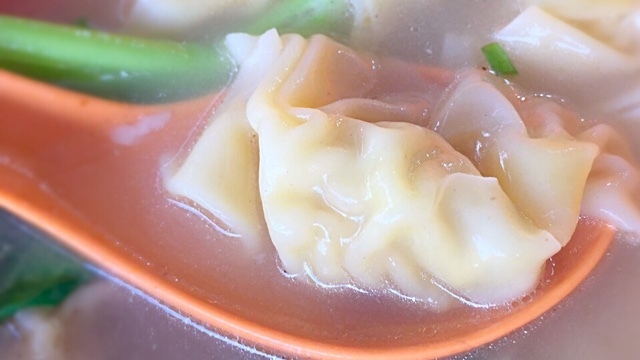 In reality, the wantons are small. In the picture, it looks like a mini dumpling. Since we had to wait 30 minutes for our Wanton Mee, we also ordered roasted pork from another stall. I am pleased with the amount of meat for S$3, a nice addition to my Wanton Mee meal but nothing much to shout about. The skin was not tough and had a slight crisp. The meat was a tad too dry. I would definitely miss the springy noodles with its excellent sauce. Next time, I shall wake up earlier to try their Dumplings Soup and Fried Yong Tau Foo. I thanked the lady serving us and praised their food. She gave away a sweet smile and that makes me smile too.